The half price tag is so irresistible. I love discount, especially the “half price” discount at the supermarket. The half price tag is so irresistible. I am also an evening shopper. I like getting the discounted groceries in the evening. Sometimes, I would watch the store staff put the discount seals on groceries. When I am at the cashier, my shopping cart is always filled with discounted items. Two months ago, Takashimaya(a department store) was opened in the station in my town. 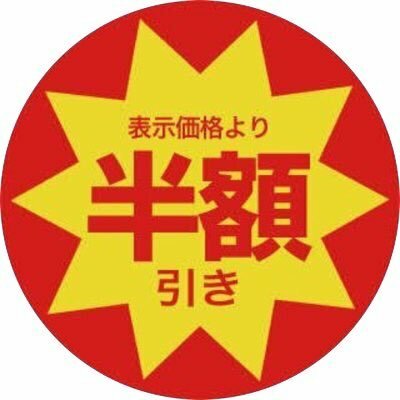 The store is called “EKI・TAKA”, not “EKI・NAKA”. It is opened until 9 pm everyday. I always get into “EKI・TAKA”. Then I will start checking out the half priced items like salad, cut vegetables, side dishes, sashimi and etc. I want to say that Japanese women don’t have to feel bad when they buy premade food. Save your time and prepare your dinner easily. Thanks to “EKI・TAKA”, I can save my time and money. Buying half price groceries is fun and it can reduce my small stress. I read an essay book called “Udouroku”. The writer is Yumiko Udo who used to be a NHK’s announcer. People could see her on the TV program “Asaichi” on every weekdays’ morning. However she suddenly quit NHK in this March. Since she is popular, some people are missing her because they can’t see her on TV. Then, this essay book is a good time to publish in last month. When you read the title “Udouroku” backward, it means “Kuro Udo”. Kuro is black and Udo is her last name. She is very honest and charming. 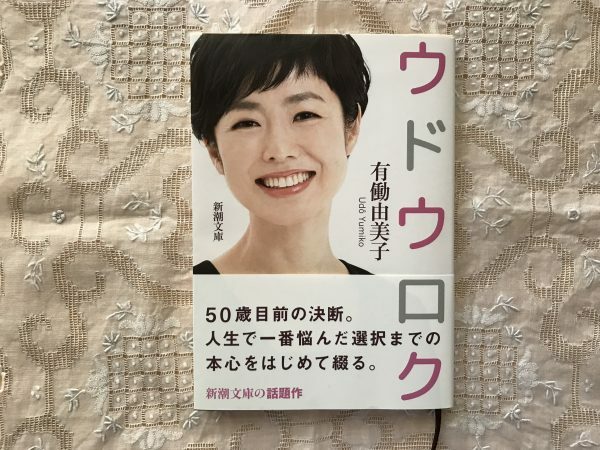 In the essay, she mentioned that if men read this book, they might be afraid of the middle-aged women. If women who are satisfied with their life, they might despise her when reading her book. In my opinion, actually she is very honest and charming. In one time she had a very cruel bloody fight with her father. She is also very unique. She stayed in N.Y.C. as a correspondent for 3 years. She studied English hard and worked a lot until she had a bold spot. Are we going to see her on TV in October in “NEWS ZERO”!? Her frankly essay giving me some energy because she is such a smart and beautiful person that inspired me a lot even though she is not perfect. For me, she is a super woman. I heard that she will be an announcer again on TV program ”NEWS ZERO” in October. I’m looking forward to seeing her on TV again. UNIQLO had a 34th anniversary sale from May 25th to 28th. They sold most items at huge discount. I saw a 190 yen blouse on their advertising insert before heading to UNIQLO. When I arrived at the UNIQLO in my neighborhood, the store was crowded with shoppers. 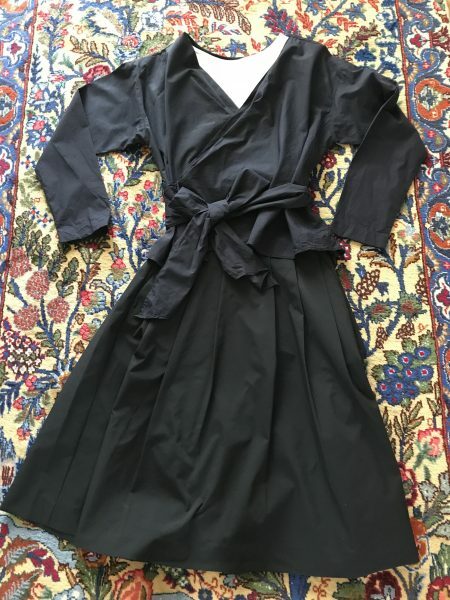 I looked around, picked 8 items which included the 190 yen blouse and bought all of them. Together they were 7,915 yen in total. I was very satisfied with all the items. 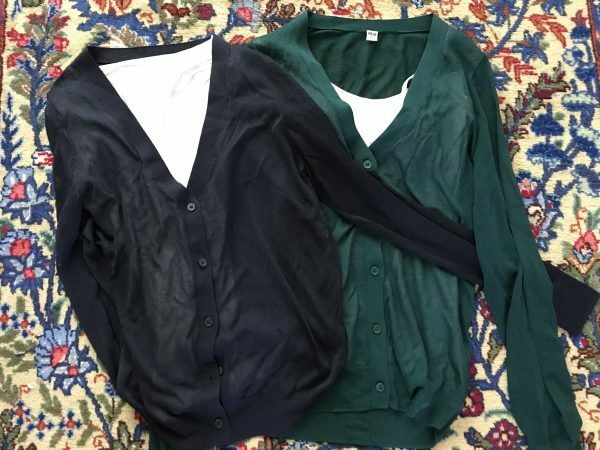 ↑These cardigans are lightweight, handy and easy to carry. They were 1290 yen each. 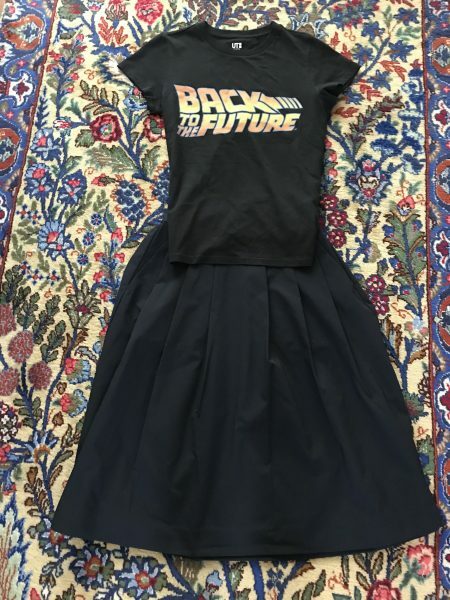 ↑”BACK TO THE FUTURE” T-shirt was 500 yen. I’m a big fan of the movie “BACK TO THE FUTURE”. Nobody can recognize that it costs only 1200 yen. A few days later, I worn the blouse (190 yen) and the skirt (980 yen) and went to the cram school that I work at. One of students, she said “You have a lot of clothes”. She always checks my look. Once, she asked me whether my ring was real?. That time, I was wearing a toy ring with a fake emerald gem. This time, I am relieved that she didn’t ask “Are you wearing UNIQLO clothes?”. I like this outfit because nobody can recognize that it costs only 1200 yen.